New Vision Wilderness Therapy is a nationally recognized outdoor behavioral healthcare facility that offers treatment services to individuals suffering from substance abuse and mental health disorders. The center offers intensive mental health treatment and intervention to preteens, teens, young adults, and their parents through an exclusive wilderness experience. The mission at New Vision Wilderness Therapy is to provide clients with the highest standards of therapeutic outdoor programming in an effort to improve their decision-building skills and family relationships. The center offers a safe and secure environment to clients where they undergo intensive and individualized healing process. Clients experience a thorough wilderness experience along with an intensive clinical immersion which results in holistic healing and recovery. They are empowered to bring about a positive change in their lives through individualized adventure education experiences. The treatment programs utilize therapeutic activities and evidence-based therapies that focus on individual and family dynamics through intricate and intensive examination, assessment, and interventions. The Family Services Program provides opportunities for families to heal and grow together through the webinars, workshops, and support groups that the center offers. It also provides Alumni services to its former clients which help them stay healthy and sober. 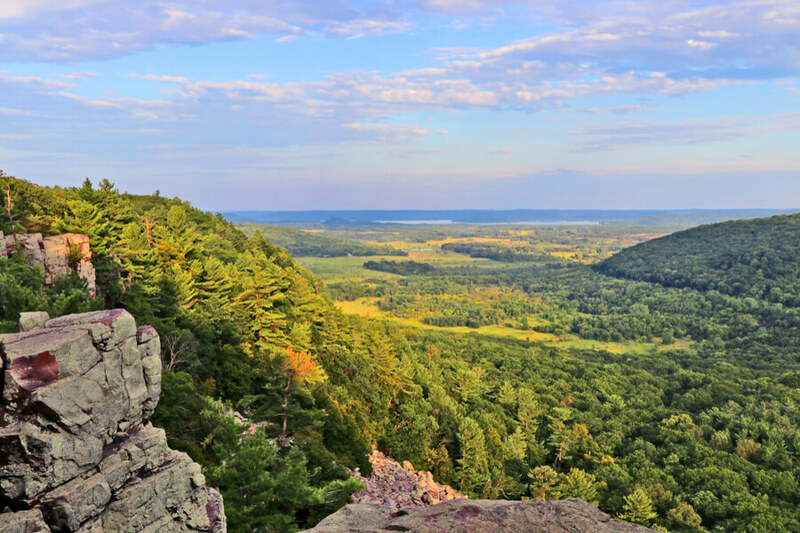 The New Vision Wilderness Therapy Center is located in the beautiful Northwoods of Wisconsin. The campus is spread across acres of land that offers unique wilderness experience to its clients. There are separate programs for teens (ages 13-17) and young adults (ages 18-25) suffering from substance abuse and behavioral health disorders such as depression, anxiety, ADHD, OCD, eating disorders, impulse control, and bipolar disorder. Clients are assigned to gender-specific groups who participate in activities together. The center provides all basic equipment needed to live in the outdoors including tents, backpacks, sleeping bags, water bottles, cook sets, stoves, and other outdoor clothing. Clients participate in therapeutic activities such as backpacking, mountaineering, water rafting, fly fishing, and more. Clients are taught cooking skills as part of the program on how to survive in the wild. Using the equipment provided, they cook meals for the whole group three times a day under the supervision of staff members. All ingredients for food are provided by the campus authorities which mostly include whole grains and a variety of protein sources. Fresh fruits and vegetables are also incorporated into the meals of clients to ensure a healthy and nutritious meal. Typical meals include pancakes, burritos, spaghetti, sandwiches, and oatmeal. Sugar and processed food are discouraged. New Vision Wilderness Therapy offers a unique and high-quality wilderness experience to its clients during their treatment at the facility. The cost of treatment is $545 per day after an initial enrollment fee of $3,000. Clients typically get enrolled in the program for 60-90 days which is dependent on each client’s individual needs and assessment. New Vision Wilderness Therapy does not accept insurance payments or bill insurance companies. All fees have to be paid out of pocket by clients and families. After discharge of the patient, the center helps families seek reimbursement from insurance companies. The center has also partnered with Prosper Healthcare Lending which offers an additional option of funding to clients. New Vision Wilderness Therapy is one of the leading wilderness therapy program providers of the country that offer innovative and specialized programs for teens, young adults, and families. The programs serve individuals who require immediate intervention and mental health treatment for issues associated with adoption, developmental trauma, anxiety, depression, and addiction. Through the therapeutic treatment modalities that heal the mind, body, and spirit, clients are able to heal their relationships and foster personal growth in life. The center offers innovative therapies and modalities such as self-regulation training, emotional literacy, neurological release and somatic stabilization, attachment and relational immersion through which clients are healed from the effects of stress and developmental trauma. A number of successful therapies such as brainspotting psychotherapy, art expressive therapy, mastery, canine-assisted therapy, and relational pinnacle experience are utilized for this purpose. At the end of treatment, clients are healed as a whole person who has the resilience to prevent relapse. Steve Sawyer is a licensed psychotherapist and licensed clinical social worker. He has over 10 years of experience of working with clients in residential, outpatient, community-based, and wilderness therapy settings. His areas of expertise include somatic trigger release, traumatic memory reprocessing, and HeartMath. He is also an internationally recognized brainspotting trainer and consultant who offers training in this regard to other therapists. Edwin has extensive experience serving at various leading positions in different healthcare settings. Before joining New Vision Wilderness Therapy as Medical Director, he served as the medical director of Outdoor Recreation Georgia Tech as well as for Catherine Freer Wilderness Therapy Expeditions. Dr. Jenna Saul, M.D., F.A.A.C.A.P. Dr. Jenna is a Psychiatrist who is Board-Certified in General Psychiatry, Child, and Adolescent Psychiatry. Her areas of expertise include utilization of holistic and integrative medicine model to treat individuals for mental health problems, behavioral, emotional problems. She specializes in Mindfulness-based psychotherapies.